The 1937 film "Borneo" will be screened for the first time in Asia on the last day of Borneo Eco Film Festival (BEFF) here today (Sunday). 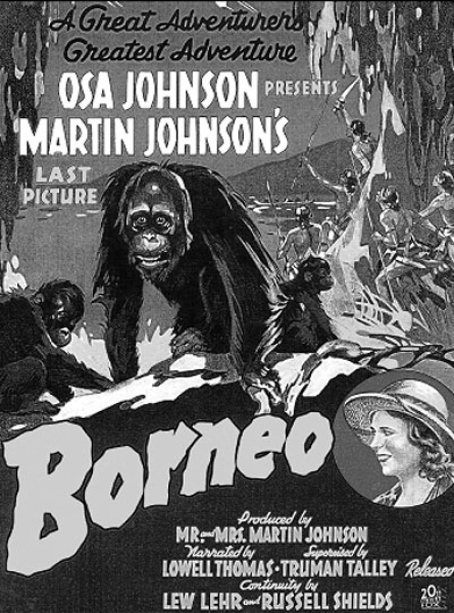 Borneo is the ultimate adventure movie of married couple, Martin and Osa Johnson, the world's pioneer documentary filmmakers. The screening of the film is made possible by collaboration between Martin and Osa Johnson's Safari Museum in Kansas, United States, and funded by Sabah Museum and Sabah Society. The black and white film is 75 minutes long and will be screened at 5pm at the Sabah National Department of Culture and Arts Complex auditorium. Martin died in a plane crash in Burbank, California, on his way to Hollywood for film narration and final editing of Borneo. Osa was seriously injured in the accident. As a result, their close friend, a writer called Lowell Thomas, provided the full narrative of the film. Hence, although the images are of what the Johnsons captured of Sandakan and Kinabatangan in 1935, the script is not but put together by Lowell in a hurry to get the movie out. Osa, who survived the crash, decided Borneo would be her "last adventure" because she no longer wanted to travel without Martin. Osa died in 1953 and they had no children. Notes about their travels to Borneo - they also came to Sandakan in 1920 and spent four months in the Kinabatangan - were discovered in 1961 when plans were underway to build a museum in their name in Chanute, Kansas. A copy of the images of their two visits in 1920 and 1935 were handed over to the British North Borneo colonial administration but are believed to have been destroyed in the war. Many of their images of tribals and wildlife were converted into North Borneo stamps. Research by Daily Express Chief Editor James Sarda, who was tasked to help in the restoration of the Agnes Keith House in Sandakan in 1997, resulted in tracing their work back to Kansas. It came about quite by accident when James came across a chapter in Agnes Keith's classic "Land Below The Wind" in which Agnes devoted an entire chapter called "Visitors" to the Johnsons. The museum's Curator Jacky Borgeson followed up on James' work and soon collaborated with the Sabah Museum's Stella Moo to retrieve these images. As a mark of gratitude, the Safari Museum also gave James special permission to collaborate with Universiti Malaya historian Prof. Dr Danny Wong to put out a coffee table book on the images called "Spirit of Borneo." It was published by renowned publisher Irah Publications. Among the images that were recorded in Borneo is the peak of Mount Kinabalu. The aerial photographs were taken for the first time and their travels down the Kinabatangan River using canoes and rafts. The Johnsons also brought the audience into the rainforest with amazing wildlife images - the orang-utans, flying snakes, 'walking' fish and the first recording of Proboscis monkeys. The Johnsons also explored Africa, the South Pacific Islands besides British North Borneo (now Sabah). Both Martin (1884-1937) and Osa (1894-1953) hailed from Kansas. Martin began his career as a member of the famous expedition writer Jack London. The couple married in 1910 and earned their income through photography and roadshows showcasing their work. In 1917, the pair launched their own adventure by visiting the Solomon Islands. They then began to make their mark in the world in the silent movie documentary making. The first successful silent movie was called "Cannibals Of The South Seas" in which the couple had to make a quick escape from real cannibals. The result was Jungle Adventures (1921) which is recognised as the world's first wildlife documentary and shot entirely in the Kinabatangan. Footage of this movie still exists. Some 160 metres of images taken while filming this is with the US Library of Congress. The Western audience learned about exotic Borneo only after seeing this movie. Not only did the couple become the first to fly across the interior of Borneo, Osa also became the first woman to fly an airplane across the South China Sea - from Kuching to Labuan and then across the Crocker Range to Sandakan. The plane they used was specially commissioned by Igor Sikorsky, the founder of Sikorsky Corporation, that makes planes to this day. The Johnsons told Igor they needed a plane that can be dismantled and then put together to be flown again. Hence he came up with an amphibian model that they used first in Africa and then in Kinabatangan in their second 1935 trip. It was the first time that the Muruts and Dusuns in the Kinabatangan had ever seen a metallic flying bird and many were afraid to approcah it when it landed on the Kinatangan. A base camp was set up near Abai and was called Johnsonville, but more commonly known as Camp Abai. While there they also captured the largest orang utan in Borneo whose head was three times the size of a human and had extraordinary strength. He was transported to the New York Zoo where it became a novelty and once even bent the bars of the cage, according to a report in the New York Times. From the camp, Martin and Osa continued the work they left off in their previous visits and began to explore deeper into the forest. The expedition was successful and resulted in three films - Borneo, Jungle Depths of Borneo and Jungle Calling. During the 14 months of their stay in Sabah, they shot thousands of feet of film and still images of wildlife, social life and civilisation in Kinabatangan. In addition to Borneo, several other films will also be screened before BEFF is brought to a close on Sunday night. The BEFF is an annual programme to celebrate Borneo eco-cultural diversity through film screenings environment and foster the art of movie making in local communities. 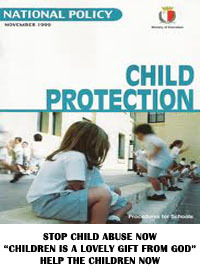 For more information, visit beff.org.my. The issues raised during election time now seem more appropriate. The main issues now are more on the economy - such as the country's economic growth and the government in power's performance. The election today is more or less the same as in other countries practicing parliamentary democracy, and in particular those in the Western countries. In these latter countries, there are always two main parties vying for power. Such is the case, for instance, in the United Kingdom where the two dominant parties vying for power at every election are the Conservative Party (Right) and the Labour Party (Left). And in the United States, the two parties are the Democratic Party (Left) and the Republican Party (Right). President Obama, the Democrat President of the United States is now facing Romney, a Republican nominee and candidate to face Obama at this year's election scheduled in November. The issues mentioned and being debated is Obama's performance in the past three years since taking over from the Republican president, George W. Bush. Obama is seen as leading his rival at the Gallup polls. Its always a good sign for the incumbent if the polls show him in the lead. Malaysia as a nation is inching closer and closer toward a developed nation status. 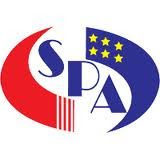 The indications, based mainly on our economic performance, rapid infrastructural developments, industrial developments, etc, are all showing the signs that Malaysia is indeed already a developed nation and can rival many of the Western countries in the European Union - such as Greece, Spain and Portugal, and even Ireland. And in the Asean countries, we are now ahead of Singapore, Thailand and Indonesia in terms of economic growth according to the latest reports. It is no wonder, therefore, that Malaysia's election platforms by the various political parties - amongst the Barisan Nasional fold as well as amongst the Opposition - are focusing on the economic performance by the incumbent Barisan Nasional government. But in this particular issue, the BN coalition government has no worry. The records of its performance since the year Malaya got its independence in 1957 and later, when Malaysia was formed in 1963, show consistent economic growth in the nation. How many of us, once living in the rural areas, especially in the kampongs, can truly say that there has been a vast improvement in our way of life - for the better. I for one, must always give thanks to the excellent work of our leaders - past and present, that our country has indeed prospered and with it, our living standards. I dreamed, for instance, of the once rustic environment of my kampong - kg Kambau - in the Penampang district. I wished I have the talent of an artist so that I can draw and paint what was then a rustic kampong, now turned into a modern day township with roads, crisscrossing everywhere, piped water and of course electricity! All the conveniences of modern day living are there. And the credit for all these must surely go to our past leaders. Particularly to the Founding Fathers. The second Prime Minister, Tun Razak, the father of the present Prime Minister, Datuk Seri Najib, once held the Ministry of Rural Development and I believe, he did not want any other Ministry to look after. And he had a reason for it. 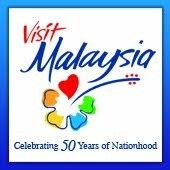 He wanted to see the rural people in Malaya and later in Malaysia, reap the benefits of being an independent nation with high standards of living. Indeed, when Sabah finally agreed to join in the formation of the Federation of Malaysia, 1961, it was because they witnessed the rapid economic growth in the rural areas of Peninsula Malaya. 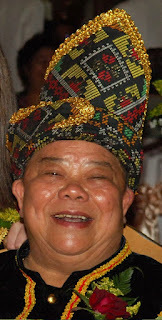 First, it was Sabah's foremost leader, Tun Stephens, then opposed to the idea of the formation of Malaysia, who soon changed his mind on the matter. And he cited the excellent rapid economic growth of the rural areas under Razak as one of the main reasons why he changed his mind. Then he was followed by Sabah's bumiputra leaders - Ketua Kampungs, Native Chiefs and other community leaders who were sent over to Malaya to witness the improvements in the rural areas in the various States in the Peninsula. There are hilarious stories about the escapades of our rural chiefs visiting Kuala Lumpur for the first time, but these stories hide the facts that when they returned to Sabah they told their respective people of the goodness of the rural development in Malaya. It was these people, their opinions on the proposed formation of Malaysia that mattered in the end. And later, when I myself served as a District Officer in one far corner of the State, I noticed that there was a big book, called the "Red Book". The book contained the various areas that needed to be improved or developed in the whole district. It was a map of the proposed development of the district. Roads - rural, feeder as well as highways were mapped and distinguished, clinics, schools to be erected and built were shown. The map of development in that Red Book did not leave anything, all were mentioned and mapped out. And all this was because of the love of one man, who later became our second Prime Minister, Tun Razak, - his love for the country, for the people and his dream of their economic growth and high standards of living in the future. We can say that we are the recipients, the beneficiaries of such policies of the past and now. The present leaders of the Barisan Nasional coalition government are conscious of the Opposition stands and their propaganda to wrest power from the BN government. But so far, we have not seen the Opposition parties "budget" or "action plan" for the nation, for example. All that we have heard or seen in their various pronouncements is that there is a need "for a change in Putrajaya" - that they aspire to take over Putrajaya. The voters are not simple minded nor gullible I am sure. To sit in the pinnacle of power and to take over Putrajaya is no mean feat. This place is meant for the leaders who are truly tested and who have the interests of the people and nation. The BN leaders, both State and Federal, are all well and truly tested for their experience and dedication to the nation and people. The records of the present Prime Minister, Datuk Seri Najib, as a leader and Prime Minister, since taking over the mantle from Tun Ahmad Badawi are all there for us to see. And, as is the records of the present Chief Minister, Datuk Seri Musa Haji Aman since taking over the leadership of Sabah Umno and Sabah BN nine years ago. Today, Sabahans should be grateful that the State has the best economic growth in the nation, has the highest amount of savings in the Consoladated State funds and also the best forest management in the region. 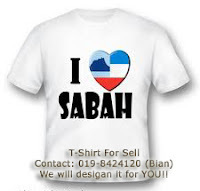 That foreign investments in Malaysia as well as in Sabah have increased by the billions of ringgits must surely speak for the great confidence by the BN government performance in the country and State. Are Sabahans so gullible and prepared to throw all these just so that we see a new face in Sri Gaya? We are no longer that gullible as we once were and we take heart that the BN coalition is still far ahead in the estimation of the populace. The polls show that the Prime Minister is still ahead in popularity - more than 58 per cent. And so is the Sabah Chief Minister. He is seen as the man of "all seasons" and truly represents 1Malaysia as a person and indeed, truly Malaysia. 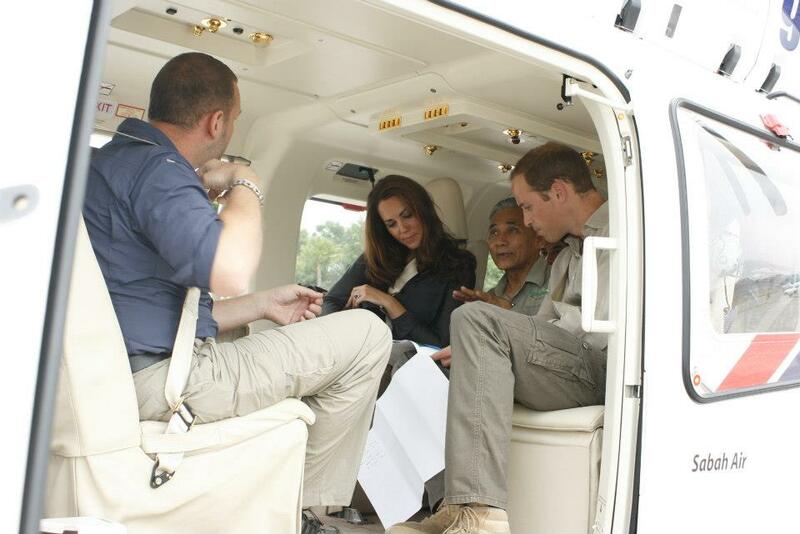 Akhirnya Putera William dan Kate Middleton, pasangan diraja British, menjejakkan kaki di Kota Kinabalu, Sabah. 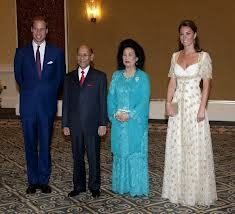 pesawat khas membawa Duke and Duchess of Cambridge mendarat di Terminal 2, KKIA tepat 7.57 malam. Hujan tidak halang sambiutan tradisi di tarmac. Namun mengapa hanya ada 1 PAYUNG untuk pasangan diraja ini ketika turun dari kapal terbang?? Nampaknya Kate dan William basah sikit badannya. 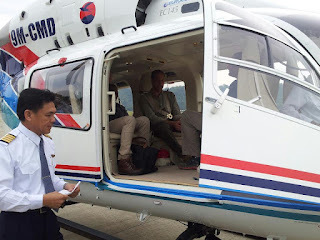 Dan putera William terlanggar bahagian kepala sekejap dek payung yg dipegang Kate namun William hanya senyum..
Esok pasangan diraja British ini akan melawat ke Danum Valley, Danum Valley untuk meninjau sendiri eksplorasi kawasan hutan hujan tropika ternama dunia. Danum Valley dikatakan lebih tua dari Hutan Amazon di Amerika Selatan. New reformation for Sabah Education? WHILE we wait for the Prime Minister's announcement of reforms to education it appears that some school principals, parents and leaders in education are sceptical, even distrustful of the Government's intent and have already prepared themselves for disappointment and failure. It is ever easy to blame the Government for things that go wrong or don't work. It is tempting to think one can do better and to ask for the freedom or autonomy to make decisions free from national and State constraints. We have a Government showing that it takes note of what the people want. There has been a great deal of criticism about our education system. 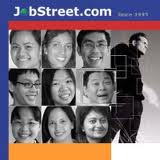 Most of the criticisms played out in the media have focused on the unreadiness of graduates for employment because of lack of proficiency in English; lack of equal access to opportunities to Government sponsored higher education programmes, the decision to go back to teaching all subjects in Bahasa Malaysia and generally, criticisms about the quality of teachers and teaching. In response to this criticism, the Government has carried out a review of education, inviting the silent majority to speak out. Reports from colleagues who have been involved confirm that the review process is a genuine effort to listen, evaluate and report on every angle of our national and state educational provisions with a view to improve our education system so that all can benefit. Will the silent majority expect changes? If so, what changes? Will the changes they want be the same as those of the vocal minority? We know that the civil servants in the various ministries who are given the tasks to make the changes and to help with achieving new targets are often the same people who have implemented previous policies and so may be slow to change their own mindset, to subscribe to new policies and to find budgets and sources of funds to make things happen. That may be among the reasons that "things are still the same" and why "while we are good at making policies, we fail miserably when we come to implementation". We often hear of the need to "address teachers' mindset". Surely, we should be wary of the mindset of principals of schools, too? Would we "give schools autonomy and untie the hands" of head teachers and principals who are not accountable to the Government, the state and the electorate? If we look at the way Malaysia has changed in the last decade, let alone in the last 55 years, we have to conclude that there have been massive changes not "just minor changes". What we want are changes that ensure benefits for all. No community and no individual should be left behind in our Economic Transformation Programme. Everyone matters. That should be the measure of the Government's failure or success. We, the people, including teachers, education administrators and civil servants, need to keep up with the Government. We should ask how we can improve our day-to-day work to achieve the transformation our nation needs. Whether we work in our own business, a corporation, the private sector or the public sector we should be thinking citizens and productive workers. Whether in school or factory, work and reward for work have changed for employees. Aspirations of style of life have risen. There is a growing gap between aspiration and achievement manifesting in a "lack of passion and commitment". It is a generation problem and not confined to teachers in our public school system. The Election Commission (EC) here is ready to face the 13th General Election come rain or shine and is only waiting for the Prime Minister to dissolve Parliament, said State EC Director Datuk Md Idrus Ismail. "It's really difficult to predict what the weather would be like especially in October and November but if the dissolution of Parliament is done by the Prime Minister over that period, then we have to do it," he said. He said this during a media conference held at his office at the Federal Administration Complex here, Thursday, which also announced the retirement of EC member, Datuk Jamdin Buyong, who served since Oct 30, 2002 to Sept 4, 2012. "We therefore need to have a plan if bad weather or flood occurs but I hope the weather would be good so that it would be easier for voters to come and cast their votes," he said. He said preparations in terms of briefing their EC officers and logistics have already been conducted. 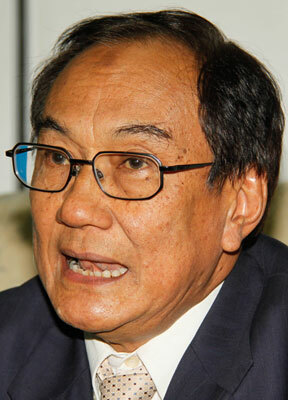 "We are only waiting for the dissolution of Parliament by the Prime Minister," he said. He also said they would utilise some 24 helicopters during the election period. 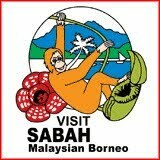 However, discussions in terms of its costing have not been determined as they have yet to discuss with Sabah Air. 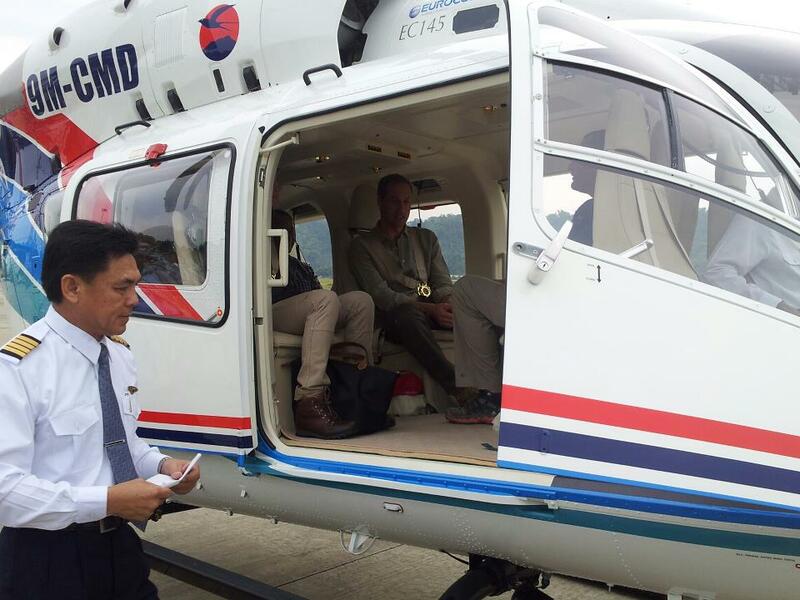 "Perhaps it's still too early to have a discussion but Sabah Air also needs to make preparations since they need to outsource from other countries such as Philippines, Indonesia or local companies for helicopters as they might not have enough. "For boat services, EC officers have the full responsibility to outsource for boats because there are places such as Kinabatangan, Beluran and islands, among others, where boat services are needed. "On how much is needed for the general election, he said, they have so far only received funds for logistic and briefing preparations.He, however, admitted that the amount would be higher than the RM16 million for the previous general election because of the additional manpower and logistics. Towards this end, he said new voter registration is quite slow compared to the second quarter of this year because many assumed June was the last month of registration, hence the figure accelerated over that period. "Many rushed forward to register until the last day of June but those who wish to register can still do so until the end of September since we do not know when the general election will be," he added. Aloha .. Aloha .. Aloha. Shocked!! !, when I open THIS LINK! Tremendously excited. .. SAYS.Com looking more advance now. For those who still do not know what I was dumbfounded in, this business online, the so-called says.com was one of many opportunities getting money from the net. What? U don't know about this? I'll let you know more or..... REGISTER NOW! It really simple to do this business online just Click, Click and Click. 1st.... Click the SIGN UP BUTTON, Then enter your username, email and password. Do not forget to verify your email to activate :) If you want to know, once you have SIGN UP, RM5 will directly credited into your account. So, what you waiting for ? SIGN UP fast! After you already activate / verify your email, now I will teach you how to use and how to get money through this says.com? 1. First, you look at the SPECIAL BUTTON? 2. Click the specials button. 3. Then, you will see the ads. 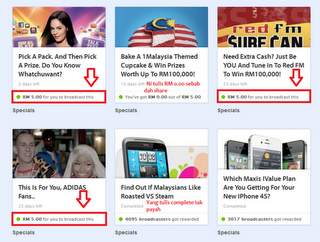 Click the ads and share it through Facebook, twitter and so forth. 4. How to get links to promote the ads? right click one of the ads. Then, press BUTTON BROADCAST! You have done the jobs by promoting the ads and soon you will get income from your hard and smart work. 5. Paste the link, on the WALL POST FACEBOOK, TWITTER or in ENTRY your blog :) before pasting the link, make a sentences that is interesting is that can attracted more friends to join this online business opportunity. Zaki Azmi, Malaysia’s former chief justice, wondered how the Sabah government managed to operate efficiently with less staff. The answer, according to a state official, is simple. The government did not recruit new staff to replace those who retired. They have been made redundant by computer and information technology. The civil service has lost 2,101 staff to retirement. There are 28,300 of them compared to 30,401 in 2010. These were clerical staff like typists and others who held low-ranking jobs that have been taken over by computers, according to the official who asked not to be named. But their departure has not saved the government in salaries and employment costs. Instead the savings were used to pay higher salaries to existing staff. Civil service salaries at about 624m ringgit ($200m) this year form about 16% of the 4-billion-ringgit budget. Zaki, who heads a five-man special commission to study the transformation of the civil service in the country, said other states and the federal government could emulate Sabah.